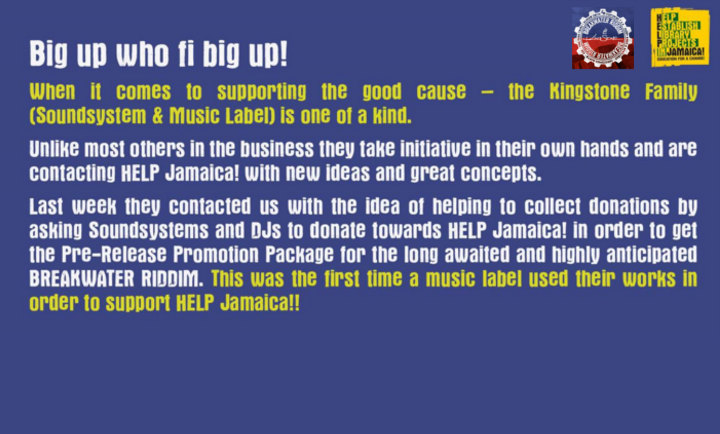 For the first time a music label used its work in order to support Help Jamaica!. We asked DJs and Soundsystems to donate EUR 5,- to get our brandnew release the “Breakwater Riddim” even before the official release date. Help Jamaica! received 85,- EUR to support their work in Jamaica according to the motto: Education For A Change!